I am addicted to bread. When I go to a restaurant, the first thing I go for is bread. If given a choice, I will choose bread over meat or vegetables. In fact, I will choose bread over sweets most times too. This odd eating is not my fault at all. 8th grade Home Economics Teacher. She taught me all those year about how to make biscuits. Do they still teach Home Economics anymore? It was a required class when I was in junior high. I was blessed with a wonderful teacher. She taught us how to sew. We made animal shaped pillows. it is a bright green octopus. things green...so I chose the green octopus. She also taught us how to care for a baby. our "baby" while we were busy. we moved onto cooking and baking. She taught us this recipe. a macaron, or Crème Brule, I can make a mean biscuit! These are quick to make, and never fail me. or a Pot Roast Dinner. Preheat oven to 425. Sift together dry ingredients. Cut in shortening until mixture resembles course meal. Slow mix in milk and egg, stirring just until combined. Turn mixture onto a floured surface. Knead dough five times. Pat into a 1/2 inch thick disk. Cut with round cutter or glass. Place 1 inch apart onto greased baking sheet. Bake 10-15 minutes or until golden brown. 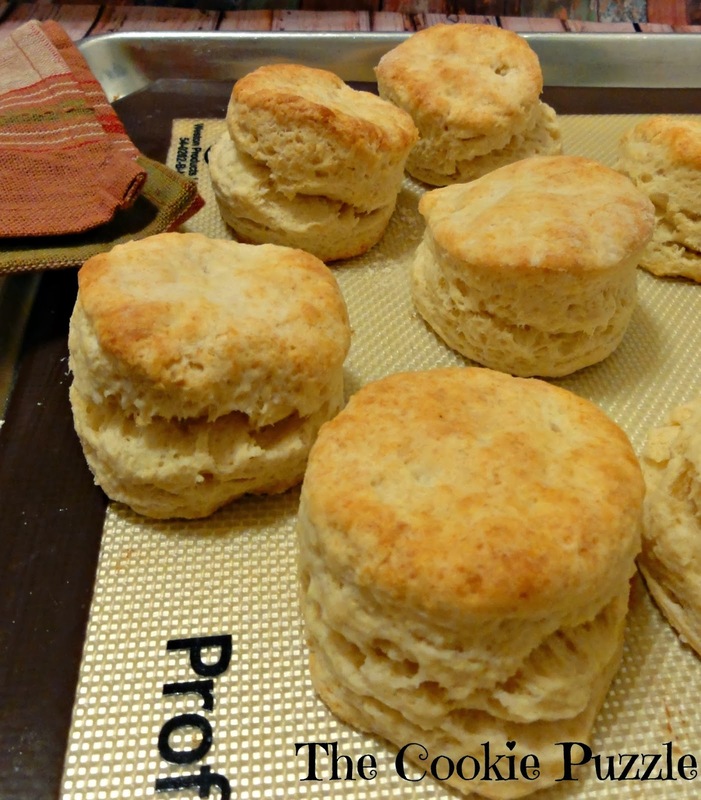 ** Yields 8-12 biscuits depending on the size cutter you use. 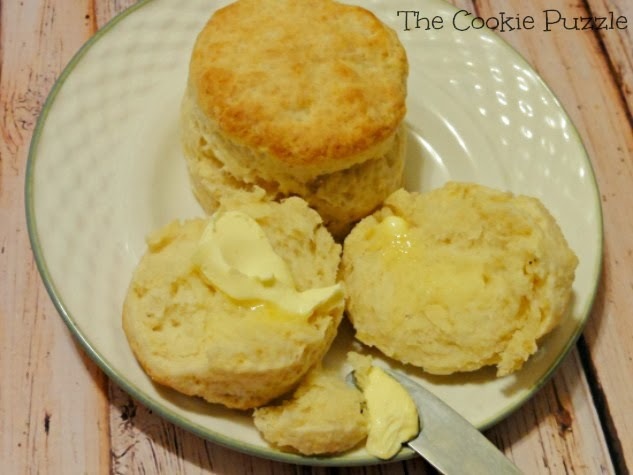 ***If you have an aversion to shortening, you can substitute butter. OMG! These look amazing. I'll never buy another Grands biscuit again unless I'm being lazy. We really are twinkies. My weakness is bread. If we go to a restaurant that serves bread and butter I will make myself eating it and then when the meal comes I'm full and hardly eat my meal. I also made a pillow in home economics. It was a blue shark. LOL! We also made biscuits too! Yummy! Stopping by from Easy Life Hop. These look delicious! I love biscuits especially with a cup of coffee! Stopping by from "All Things Thursday". Following via e-mail. Thanks for the wonderful recipe! Also for sharing on Four Seasons Blog Hop! 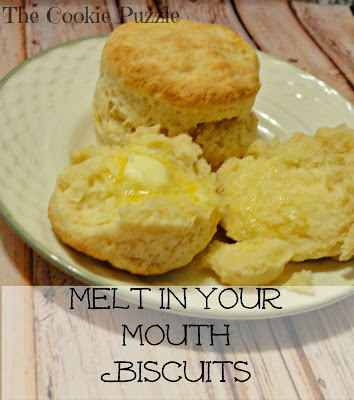 Biscuits...YUM! 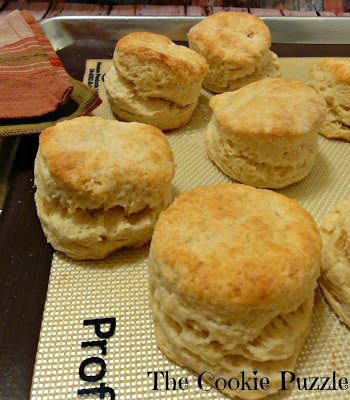 My grandparents owned a restaurant and my grandmother made "Fly Away Biscuits". Grandpa named them that and said you had to load them with butter or gravy for fear they'd fly away. Unfortunately, that recipe died with them, we all thought each other had her recipe. I'll have to try yours. They look reeeeeally yummy. Hey, let's go on the Atkins Diet and give up bread! HAHAHAHA!! Not. I can live without many things. Butter, bread/biscuits/rolls, cheese and bacon are non-negotiable.